Dr. Kirkwood’s research focuses upon melanoma immunobiology, therapy and prevention. His translational laboratory studies have shown the immunological basis of IFN adjuvant benefits, and are now probing the role of molecularly targeted agents (BRAF, MEK, and PI3Kdelta inhibitors) that may improve upon the efficacy of anti-PD1 immunotherapy, both for treatment of advanced melanoma and for the adjuvant therapy of operable high-risk melanoma. His studies of monoclonal antibodies to the gangliosides of melanoma, and peptide differentiation antigens of melanoma alone and in combination with cytokine and growth factor immunomodulators were already mature decades before the recent surge of immunotherapies in multiple other cancers. He has also advanced the multimodal therapy of melanoma with surgery, stereotactic radiotherapy, and molecular antitumor agents that have displaced chemotherapy in the management of melanoma, where he is now pioneering novel clinical trials to assess the myriad potential combinations of 11 (soon 13) recently-approved molecular and immunological therapies that are anticipated to be the focus of the next decade of translational clinical research trials in melanoma. His laboratory is engaged in the molecular and immunohistological analysis of melanoma, and studies of tissues obtained from institutional, regional, national, and international trials of new therapy that Dr. Kirkwood is pursuing. Tumor tissues from patients participating in new modalities and combination therapies, neoadjuvant trials, and prevention interventions are probed using current immunopathological and molecular approaches for the quantitation of signaling pathways, and immune responses to melanoma. Dr. Kirkwood has studied the immunobiology and therapy of melanoma and other skin cancers, in studies of advanced and high risk disease where his work led to the FDA approval of the first adjuvant therapy for melanoma (IFN alfa, 1995) and also the most recent approval of the first combination adjuvant therapy of melanoma (dabrafenib/trametinib, 2018). 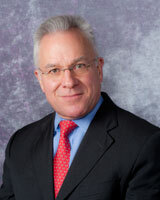 His studies have been pursued locally in the Melanoma Program of the Cancer Institute, regionally in the Melanoma Consortium of 8 regional institutions, in the National Cooperative Group ECOG-ACRIN for which he has chaired the Melanoma Committee for 29 years, and in the International Melanoma Working Group he founded in 2005, where new and more efficient adaptive trial designs are being introduced to accelerate regulatory approval of new therapies and combinations. In the US National Cooperative Groups biomarker discovery preoperative or neoadjuvant trials have been the focus of his work, including the evaluation of IFN, anti-CTLA4 alone and in combination with IFN, and anti-PD1 in multiple combinations to enhance the efficacy of this therapy in the adjuvant setting. In the national Clinical Trials Network ECOG-ACRIN the first neoadjuvant trials of new BRAF/MEK inhibitors, and combinations of anti-PD1 and other immunomodulators are now planned with blood and tissue biomarker corollaries to evaluate the mechanism of these agents and more efficiently improve upon them with new combinations. In patients with earlier primary melanoma, he is leading efforts to improve early detection, and chemoprevention with nutritional agents such as sulforaphane that alter tumor progression from atypical/dysplastic nevus precursors with minimal toxicity. Dr. Kirkwood has trained more than 200 fellows, many of whom are now leaders of melanoma investigation across the US and in Europe. He has held an Oncology Training Grant and more recently holds a Melanoma and Skin Biology T32 training grant. He has published more than 365 original peer-reviewed articles and 175 reviews, editorials, and chapters. He was elected to the Association of American Physicians in 2014, and is a member of AACR, ASCO, SITC, and multiple editorial boards of the leading journals in the field of medical oncology, cutaneous oncology and immunotherapy. Suciu S, Eggermont AMM, Kirkwood JM, Markovic SN, Garbe C, Cameron D, Kotapati S, Chen TT, Wheatley K, Ives N, de Schaetzen G, Efendi A, Buyse M. Relapse-Free Survival as a Surrogate for Overall Survival in the Evaluation of Stage II-III Melanoma Adjuvant Therapy. Journal of National Cancer Institute. 2018; 110(1): 87-96. Callahan MK, Kluger H, Postow MA, Segal NH, Losokhin A, Atkins MB, Kirkwood JM, Krishnan S, Bhore R, Horak C, Wolchok JD, Sznol M. Nivolumab Plus Ipilimumab in Patients With Advanced Melanoma: Updated Survival, Response, and Safety Data in a Phase I Dose-Escalation Study. Journal of Clinical Oncology. 2018; 36(4): 391-398. Long GV, Hauschild A, Santinami M, Atkinson V, Mandala M, Chiarion-Sileni V, Larkin J, Nyakas M, Dutriaux C, Haydon A, Robert C, Mortier L, Schachter J, Schadendorf D, Lesimple T, Plummer R, Ji R, Zhang P, Mookerjee B, Kirkwood JM. Adjuvant Dabrafenib plus Trametinib in Stage III BRAF-Mutated Melanoma. New England Journal of Medicine. 2017; 377(19): 181301823. Kashani-Sabet M, Nosrati M, Miller JR 3rd, Sagebiel RW, Leong SPL, Lesniak A, Tong S, Lee SJ, Kirkwood JM. Prospective Validation of Molecular Prognostic Markers in Cutaneous Melanoma: A Correlative Analysis of E1690. Clinical Cancer Research. 2017; 23(22: 6888-6892. Kalinsky K, Lee S, Rubin KM, Lawrence DP, Iafrarte AJ, Borger Dr, Margolin KA, Leitao MM Jr, Tarhini AA, Koon HB, Pecora Al, Jaslowski AJ, Cohen GI, Kuzel TM, Lao CD, Kirkwood JM. A phase 2 trial of dasatinib in patients with locally advanced or stage IV mucosal, acral, or vulvovaginal melanoma: A trial of the ECOG-ACRIN Cancer Research Group (E2607). Cancer. 2017; 123(14): 2688-2697. Gershenwald JE, Scolyer RA, Hess KR, Sondak VK, Long GV, Ross MI, Lazar AJ, Faries MB, Kirkwood JM, McArthur GA, Haydu LE, Eggermont AMM, Flaherty KT, Balch CM, Thompson JF, for members of the American Joint Committee on Cancer Melanoma Expert Panel, International Melanoma Database and Discovery Platform. Melanoma staging: Evidence-based changes in the American Joint Committee on Cancer eighth edition cancer staging manual. CA: A Cancer Journal for Clinicians. 2017; 67(6): 472-492. Ferris LK, Saul MI, Lin Y, Ding F, Weinstock MA, Geller AC, Yuan JM, Neuren E, Maddukuri S, Solano FX, Kirkwood JM. A Large Skin Cancer Screening Quality Initiative: Description and First-Year Outcomes. Journal of American Medical Association (JAMA) Oncology. 2017; 3(8): 1112-1115. Agarwala SS, Lee SJ, Yip W, Rao UN, Tarhini AA, Cohen GI, Reintgen DS, Evans TL, Brell JM, Albertini MR, Atkins MB, Dakhil SR, Conry RM, Sosman JA, Flaherty LE, Sondak VK, Carson WE, Smylie MG, Pappo AS et al., Kirkwood JM. Phase III Randomized Study of 4 Weeks of High-Dose Interferon-a-2b in Stage T2bNO, T3a-bNO, T4a-bNO, and T1-4N1a-2a (microscopic) Melanoma: A Trial of the Eastern Cooperative Oncology Group-American College of Radiology Imaging Network Cancer Research Group (E1697). Journal of Clinical Oncology. 2017; 35(8): 885-892. Weinstock MA, Ferris LK, Saul MI, Geller AC, Risica PM, Siegel JA, Solano FX, Kirkwood JM. Downstream consequences of melanoma screening in a community practice setting: First results. Cancer. 2016; 122(20): 3152-3156.